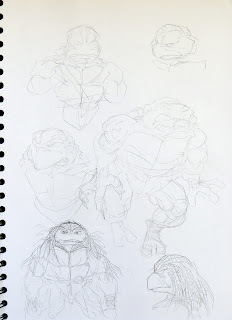 Peter Laird's TMNT blog: Blast from the Past #700: Sketchbook page 45, more ideas for the proposed "Fifth Turtle"
Blast from the Past #700: Sketchbook page 45, more ideas for the proposed "Fifth Turtle"
Here are a few more doodles from page 45 of the sketchbook wherein I tried to come up with a workable look for the proposed "Fifth Turtle". 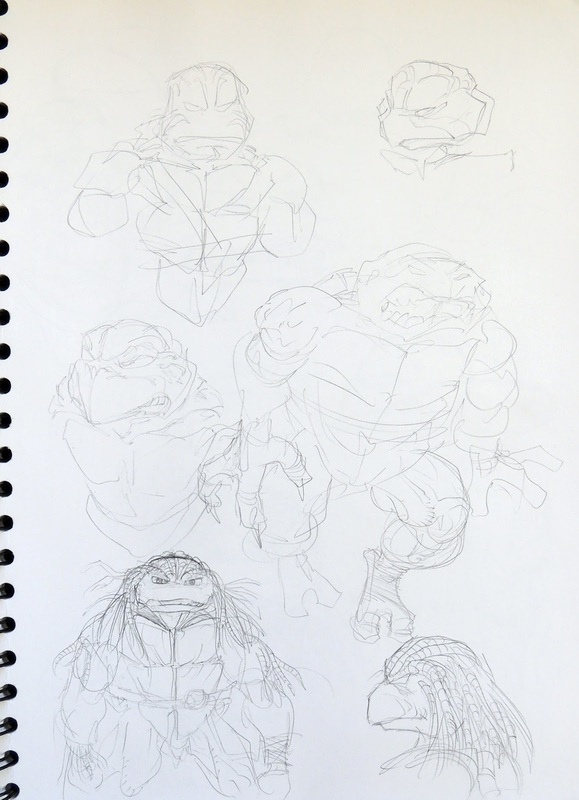 Heh, would've been a cool nod to the franchise if the fifth turtle was portrayed as just a villainous one. Happy Holidays, also, Mr. Laird!